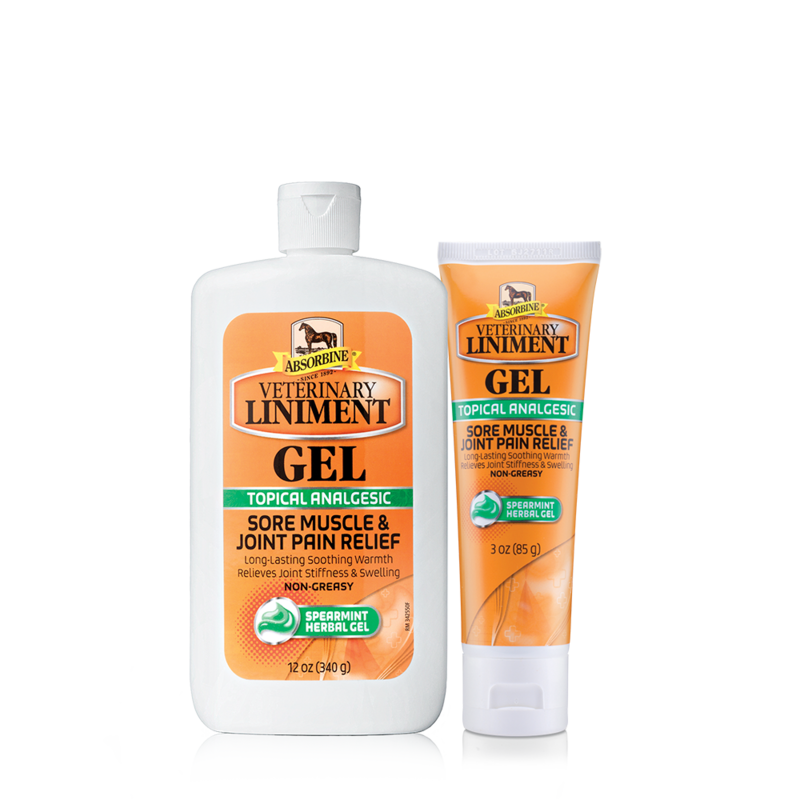 Horse Suppliments & Supplies Horse & Livestock Supplies – McGough's Inc.
Perennial customer favorites like Mane 'N Tail shampoo, conditioner and Hoofmaker, Absorbine liniments and ShowSheen, Vetrap, and Fiebing's Saddle Soap. Paste wormers also stocked. 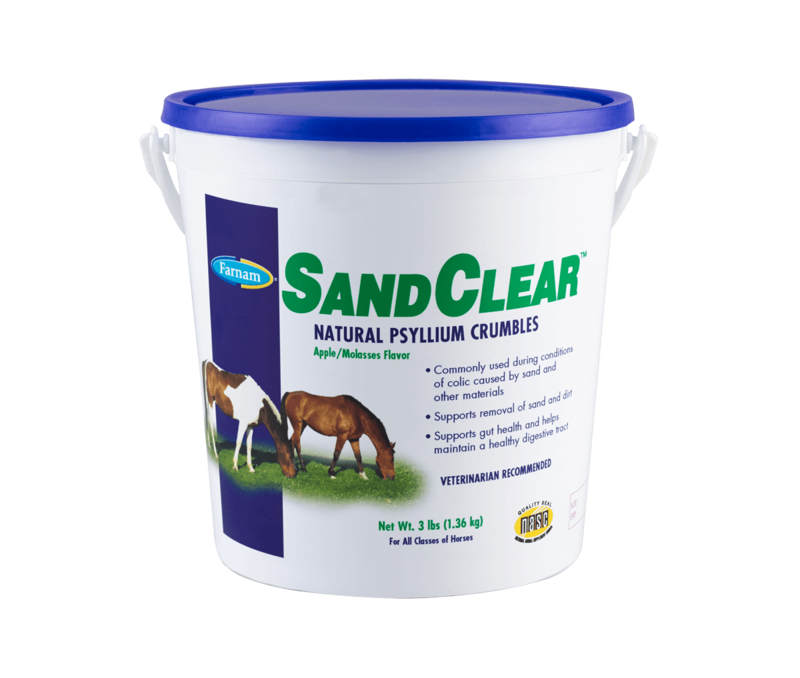 Help reduce the risk of digestive colic with SandClear™ crumbles. Contains psyllium seed husk recommended by veterinarians to support the removal of sand and dirt from the ventral colon. This supplementary source of dietary fiber is ideal for horses that graze or eat off the ground, supporting gut health for horses of all ages, even foals. A vitamin and mineral supplement with weather resistant Granular Technology Delivery System™. Features added antioxidants, including Vitamin E to help address free radicals, highly palatable natural flavors, and long-lasting vitamin stability. Fortified to support strong bones, immune system health, and reproductive function. For horses eating grass, hay, or pasture. An excellent source of calcium, phosphorus, and other major minerals with levels and ratios that complement grass forages. BUCKEYE® Nutrition's Grass Plus® Mineral & Vitamin Mix contains minerals and vitamins that are essential for optimum reproduction, normal bone growth and health maintenance. The mineral levels and rations are balanced to supplement horses eating grass hay and/or pasture. A bio-available source of dietary sulfur for connective tissue support. MSM is a natural antioxidant; antioxidants help remove damaging free radicals. 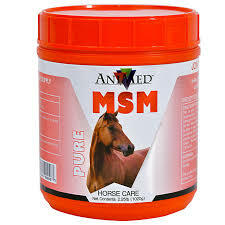 AniMed’s MSM will not harden and contains no fillers. Used to aid in the synthesis of collagen, which promotes joint, cartilage, and skin health. A natural antioxidant that helps with swelling associated with arthritis. 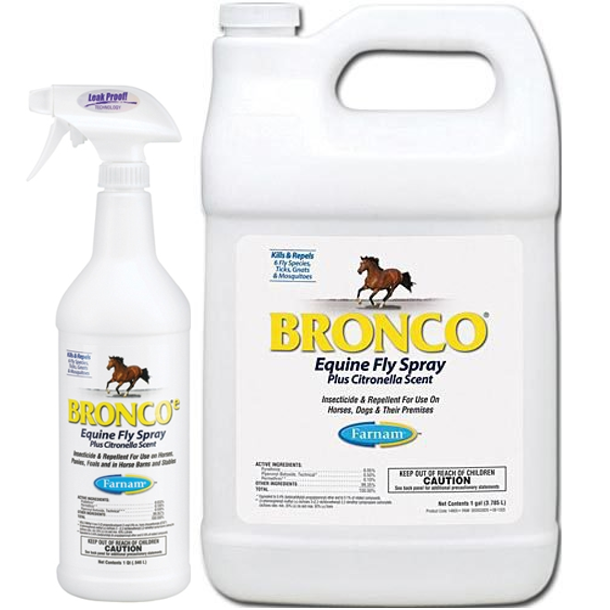 Ready-to-use and concentrated fly spray options from including Farnam's Bronco and Endure and Absorbine UltraShield. Baits, barn sprays, and disposable traps also available. Bales of wood shavings and straw stocked year-round. Sweet PDZ, in both granular and powdered options, is formulated to control odor in stalls and barns for horses and other livestock. 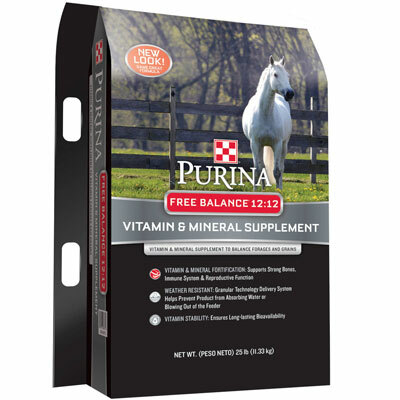 Additional Purina Mills and Buckeye supplements and products are available through McGough’s by special order. 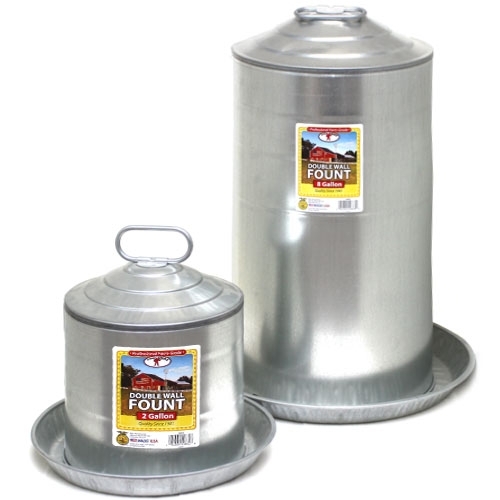 Galvanized poultry feeders and founts from Little Giant. Chick trays and mason jar feeders and waterers available. Natural rubber pans and buckets stocked, also. 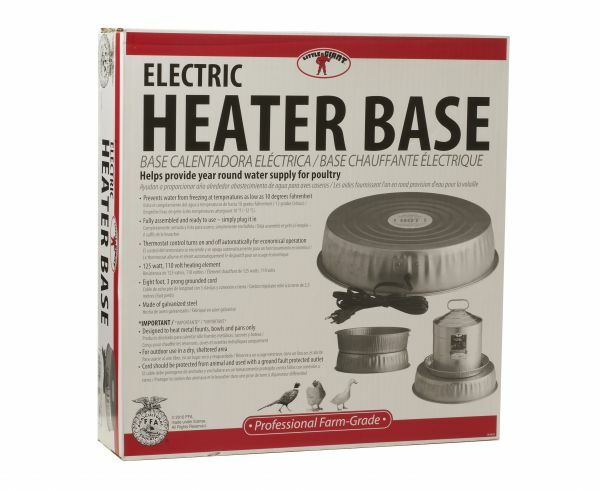 Heated base for galvanized poultry waterers, as well as self-contained heated founts. Stock tank de-icers and heated buckets and bowls also available. Composed of the fossilized exoskeletons of tiny single-celled, micro-organisms called diatoms. Meets Food and Feed Grade specifications. Approved by the EPA for use as a natural insecticide. OMRI certified. Available in 6 lb jugs or 40 lb bags. 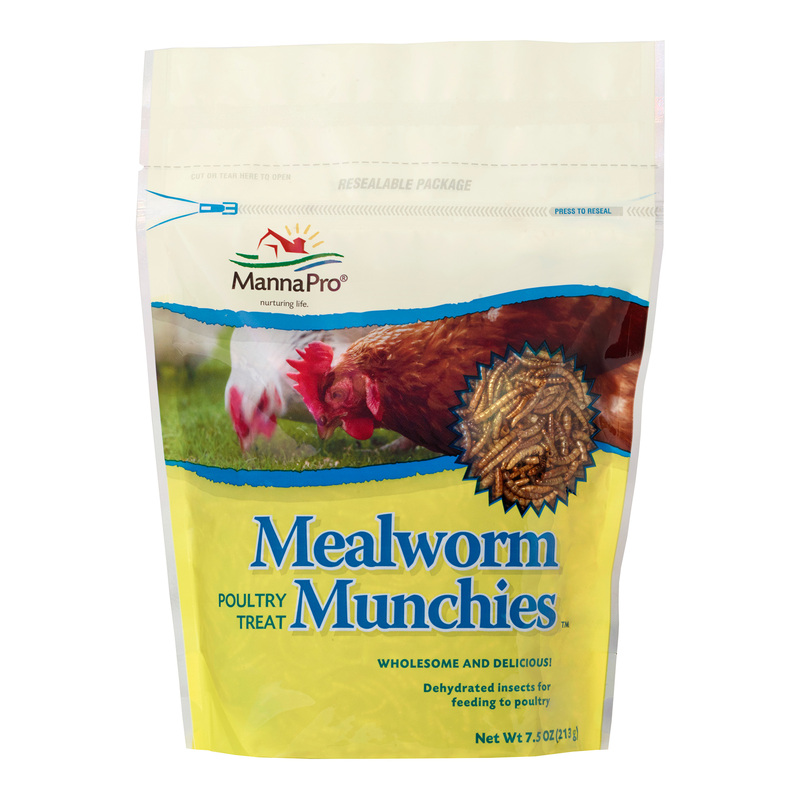 Treat your hens to their favorite protein-packed snack - mealworms! Available in 7.5 and 20 oz packages. There's even a treat-dispensing toy to occupy their attention. 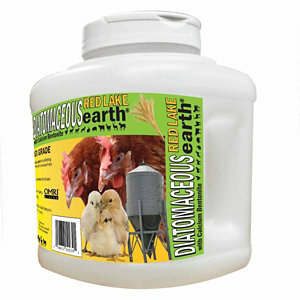 Other products by MannaPro available for the backyard chickens - electrolytes, Chick Sticks, and wound care.